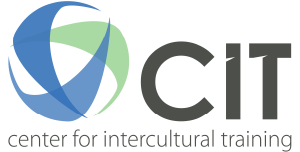 At CIT we understand the need for children to feel secure and better informed about their role as Third Culture Kids (TCK). Unspoken questions and concerns about their future life find creative outlet and gentle reassurance as our TCK programs enable them to explore and express their feelings. Each course is age-appropriate and includes Bible study, Bible memory, culturally relevant books, DVDs, games, crafts from other cultures, art, music, food, and plenty of discussion about what life will be like as a TCK. The rich cultural variety of our TCK staff allows students to explore differences in a positive light. Elementary, middle, and high school class teachers have had significant cross-cultural experience. All of our childcare staff are CPR certified, have completed child protection training, and have passed criminal background checks.